We are thrilled to announce that we have officially received a recommendation for ISO 9001:2015 certification. Following an external audit carried out in December 2017, ABI’s quality management system demonstrated that it continues to ensure a strong foundation for success and future growth of the company. ABI Electronics designs and manufactures high quality test, diagnostic and measurement instrumentation in the UK since 1983. The company's range of products are commonly used in the test and maintenance of highly complex systems across a variety of industries and applications worldwide. Customers choose ABI products for their flexibility, affordability and time-saving features. 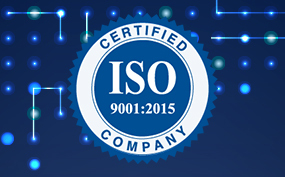 ABI has been an ISO certified company for many years and has successfully transitioned to the latest version of the Standard. This new standard gives ABI a chance for continuous improvement by ultimately embracing this opportunity.